Have a Crisis? All Your NonStop Guys Retired? Registration is open for the 2018 NonStop Technical Boot Camp! Best New Product at the 2018 American Business Awards®! A US-based finance company decided to ditch their previous solution and connect to BASE24 using NuWave middleware. 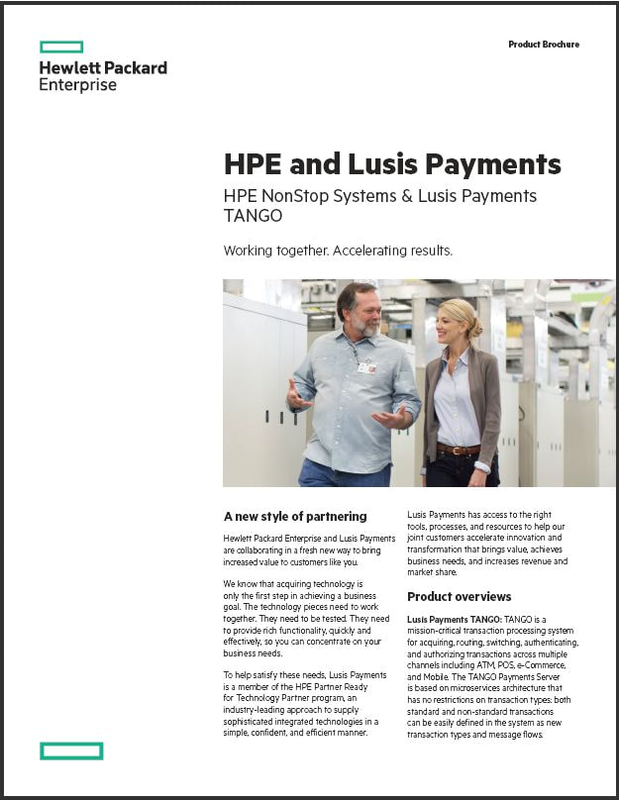 By switching out their software, this innovative HPE NonStop customer saved approximately $300,000 in five years, and the savings continue to grow each year. The customer runs BASE24-pos on their NonStop servers, providing 24/7 POS transaction processing for their customers and merchants. By using NuWave SOAPam® Server, those POS transactions can now be accessed using modern Web services. Read more about this exciting customer story on NuWave's NonStop Innovations blog. The HPE Integrity NonStop server is not only a foundation of the HPE Server business, it is also central to countless mission-critical environments globally. For the longest time, security of “Mission Critical” systems, such as IBM Mainframes, HPE NonStops, SAP HANA and others have remained mostly static and under the radar, while high profile attacks on other platforms and applications have taken the spotlight. That hasn’t lessened the risk to these foundational systems and the data they possess,it has actually created a gap. A security gap that will only increase if not properly addressed due to the advancements in globalization, virtualization and newly introduced technologies like IoT, distributed systems and in-memory computing. Interestingly enough, the NonStop server isn’t the only mission critical enterprise solution in this situation. There are some colorful parallels that can be drawn between applications running on the NonStop server and those running in SAP environments. Both are in highly mission-critical environments and vital to the revenue generation of an organization, and they frequently run payments applications like ACI’s BASE24 and other vendor supplied and homegrown applications. This creates some interesting security challenges. In a recent article from The Connection Magazine, Jason Kazarian, Senior Architect at HPE, described legacy systems as “complex information systems initially developed well in the past that remain critical to the business in spite of being more difficult or expensive to maintain than modern systems”. His article went on to point out the security challenges of legacy applications. Some of these applications tend to be unsupported and lack security features that modern applications would have. Security patches aren’t readily available, and even if they are, these critical patches aren’t applied in a timely fashion out of fear it will cause a disruption to the business. This makes detecting and addressing security risk a greater challenge than it already is. How can this problem be addressed? Protect what you can. Be it system, application or data – push the risk down the stack to an area that is more addressable by security controls. For example, tokenizing or encrypting sensitive data used by a legacy application will send an attacker away to search for that data through alternate methods, preferably one better suited for detection. Have a risk-based, layered approach. This will dramatically swing the odds in your favor. A layered approach based on security risk will provide you an arsenal to fight back with that you never had. It will create those choke points, provide needed visibility and help reduce mean time to detection allowing you to respond quickly and decisively. With the way threats are evolving, those of us responsible for security need to constantly evaluate our capabilities. Let’s dive into each layer to explore the benefits they can provide in an overall security strategy. Deadline for proposal is September 1st. The Partner SIG looks forward to reuniting with Customers and HPE this fall in the Grand Peninsula Ballroom on the Lobby level! It’s amazing what you find when you clean out your bookshelves. In the case of Digest Managing Editor Dr. Bill Highleyman’s cleaning spree, it was an article he wrote in 1994 about the new technology called middleware and its introduction to the IT industry. Back then, middleware was defined as the glue that bound client applications to server applications – the “/” in client/server. Today’s definition of middleware is much broader. Middleware is a staple of today’s distributed systems. More than just a glue, it is a software layer residing between the applications and databases on various systems and the networking layer that connects these systems into a distributed computing network. “What’s This Stuff Called Middleware” reviews middleware of the 1990s and compares it to the technology’s current services. In addition to “What’s This Stuff Called Middleware,” read the articles below in the Availability Digest. Sheltered Harbor Provides Protection – Two years ago, dozens of U.S. banks, including Citigroup, JPMorgan Chase, and Bank of America, began collaborating on a secret, ultra-secure data bunker called Sheltered Harbor. The bunker holds a copy of all bank transaction data to protect it from a devastating cyberattack. But the banks and industry groups behind Sheltered Harbor have recently changed the plan from a single bunker, itself a possible target of attack, to a backup buddy system. Banks choose “restoration” partners that store a vault of one another’s core data that’s updated each night. If one bank goes down, the other can restore accounts and make customers whole. The PDP-8: My Favorite Computer – Sorry, Tandem loyalists. For all the decades that Digest Managing Editor Dr. Bill Highleyman has been devoted to the NonStop community, his favorite computer remains the PDP-8. He was involved with the computer from its inception and was a friend of Ken Olsen, who founded Digital Equipment Corporation. The company’s first big success was the introduction of the PDP-8 in 1965. The PDP-8 was considered the first commercially successful mini-computer. Its architecture was built on Olsen’s creation of flip chips, which revolutionized the development of complex logic modules. Archivist Rebuilds HP Archives Lost in Fire – In the November 2017 issue of the Availability Digest, we described the devastating wildfire that destroyed an archive of historical documents created by Hewlett-Packard founders William Hewlett and David Packard. Despite the loss, efforts now are underway to rebuild the historical narrative thanks to the dedication of archivist Karen Lewis. In addition, the Digest provides a variety of technical writing, consulting, marketing, and seminar services. Individuals too busy to write articles themselves often hire us to ghostwrite. We also create white papers, case studies, technical manuals and specifications, RFPs, presentation slides, web content, press releases, advertisements, and so on. Published monthly, the Digest is free and lives at www.availabilitydigest.com. Please visit our Continuous Availability Forum on LinkedIn. Follow us as well on Twitter @availabilitydig. 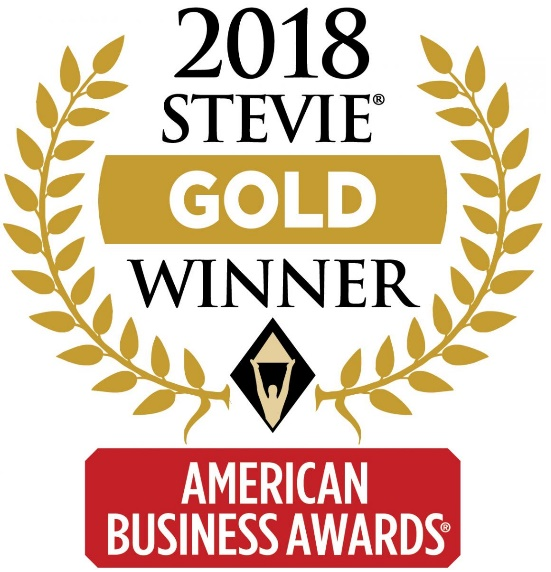 Gravic’s HPE Shadowbase data replication product won the Gold Stevie Award in the category for Best New Product or Service of the Year – Software – Healthcare Technology Solution at the 16th Annual American Business Awards (ABA). The ABAs are the United States’ premier business awards program, and all organizations with U.S. operations are eligible to submit nominations. This year, more than 3,700 submitted nominations in virtually every industry were under consideration in a wide range of categories. Over 200 professionals worldwide participated in the judging process to select the winners. Nicknamed the Stevies for the Greek word, “crowned,” the awards will be presented to the winners at a gala ceremony at the Marriott Marquis Hotel in New York on Monday, June 11. The award-winning submission involves HPE Shadowbase data replication software that provides real-time replication from an HPE NonStop-based prescription claims processing system to feed a new environment for fraud decision support. As a result of the project, HPE Shadowbase software enables each agency to perform independent maintenance, analytics, and other necessary healthcare solution functions on individual schedules. This architecture improves the solution’s availability to eliminate failover fault risk and dramatically improve recovery time if a failure occurs at any point. The updated solution now assures the agency’s important healthcare data is fault tolerant, encrypted, reduces overall reimbursement cost, and enables law enforcement to monitor and investigate fraudulent claims activity. For more information regarding this submission, please read Prescription Drug Fraud Prevention – An HPE Shadowbase Data Integration Case Study. To speak with us about your data replication and data integration needs, please call us at +1.610.647.6250, or email us at SBProductManagement@gravic.com. Hewlett Packard Enterprise directly sells and supports Shadowbase solutions under the name HPE Shadowbase. For more information, please contact your local HPE Shadowbase representative or visit our website. New security analytics technology to provide faster breach detection using patented security intelligence. LOS ANGELES – May 15, 2018 – XYPRO Technology Corporation (“XYPRO”), a leading provider of HPE NonStop Security, Risk Management, Compliance and Database solutions announced today that the United States Patent and Trademark Office has issued US Patent 9,948,678, titled Method and System for Gathering and Contextualizing Multiple Security Events. The patent covers the aggregating, correlating and contextualizing of disparate and unrelated security and system events. This proprietary technology is intended to provide faster detection of suspicious activity by intelligently combining security and non-security-related data while applying a layer of context which makes the newly enriched data much more insightful and actionable. GDPR: On 25th May 2018, a new European Union (EU) data protection law, the General Data Protection Regulation (GDPR), takes effect. The GDPR gives individuals in the EU more control over how their data is used and places certain obligations on businesses that process information of those individuals. We are updating our Policy to take into account the new requirements of the GDPR. It is extremely important that you update your preferences with us, to comply with the new GDPR regulations – simply click one of the following links, to confirm your mailing preferences. The only data we collect and hold is your email address. We collect no further information. I’m a head down, roll up your sleeves kind of leader. I started out at XYPRO on the ground floor 27 years ago and feel most comfortable in the trenches with the team, making sure they’ve got what they need to be successful. I know I don’t provide public updates nearly as often as I should, so this blog is an excellent exercise in reflection as the events of a year are distilled into a message that conveys where we’ve been and where we’re going as a company. The impact we’re having and are still to have on Mission Critical Security & Risk Management is the heartbeat of XYPRO’s business opportunity and it’s what we identify as our mission. We’re thrilled with what we accomplished in 2017 and the plans for 2018 that are already coming to fruition. In addition to 2017 being another record revenue year, it was an exemplary year for us in several areas. Following an executive restructuring in Q1 we were able to streamline our product management and engineering divisions, improving product vision, time to market and overall company communication and productivity. In March we finalized XYPRO’s acquisition of Canadian database specialist Merlon Software Corporation, which increased our global client base and added a sophisticated suite of Database Management products to our HPE NonStop Mission Critical Software catalog and a great group of people to our company. Amalgamating the very experienced team from Merlon with the growing XYPRO family was new territory for us and has proven to be a very rewarding experience. A key factor to ensuring happy customers is to make sure that people enjoy coming to work every day. One of the ways we try to accomplish this is ensuring that each employee knows they are a valuable contributor to our success and in Q2, 2017 we were honored as one of Inc. Magazine’s “Best Places to Work 2017”. Happy employees give their best and make sure that customers know we’re on their side. How can OmniPayments customers truly enjoy virtually 100% uptime? How do we help Financial Institutions to serve their own customers better and better? It hasn’t just been the NonStop community events that OmniPayments has been supporting this year. It is the goal of OmniPayments to be more widely recognized across the payments industry. Financial Institutions gravitate to events where solutions addressing their needs are highlighted and so this year, OmniPayments has made sure events like the ATMIA US Conference as well as the MONEY 20/20 events receive the OmniPayments attention. Whether it’s sponsorship of a coffee break, the inclusion of handouts in show bags, or simply being a participant in the exhibition hall, as has been the case so far with RUG events, you would be hard pressed not to see some evidence of OmniPayments’ presence as you walked the event hallways. This should be of particular importance to the broader NonStop community. It is important to see vendors developing solutions for NonStop systems taking their solutions to a much wider audience. One temptation for every member of the NonStop community is to think of themselves and their use of NonStop in isolation – as the last NonStop standing! And this is simply not the case. Listening to any keynote presentation given today by a HPE executives – particularly to a group of NonStop users – you will always hear references made to “new logos” added to the community. When HPE VP & GM, Mission Critical Systems, Randy Meyer last addressed the NonStop community at Boot Camp, he highlighted some dozen or so new logos being added to the global base of NonStop users. “Last year we heard that there were more than a dozen such new logos and looking ahead to what we can expect to see this year, I am hopeful that this number climbs to twenty plus new logos,” noted one eminent blogger. However, where Yash and OmniPayments are taking their message is ensuring that there will be even more new logos in 2018 and of course, you will only hear about any of this if you attend an event or conference where payments solutions are part of the conversation. But new logos, new products and new features are more than just soundbites uttered in moments of enthusiasm by faithful adherents of NonStop. When you take a closer look at what is being developed by the NonStop development team then you will read of the very important evolution under way that will make NonStop capable of running virtual, make NonStop SQL/MX support multitenancy and yes, make Blockchain a big contribution to the ongoing relevance of NonStop. To this end, you will be hearing a lot more from OmniPayments about OmniCloudX, the company’s first inroads into the world of SaaS and Clouds. OmniPayments runs today on NonStop X at customer sites as well as across its own multi-site data centers where it supports a number of financial services that no longer require making hardware investments and when it comes to Blockchain, suffice to say, work is under way to better exploit Distributed Ledger Technology that is now part of MCDLT from HPE – Mission Critical Distributed Ledger Technology. Where will you hear more of this evolutionary roadmap? You may have already heard it at this month’s events and conferences at BITUG and GTUG; continue to look out for more TUGs where OmniPayments and Jessica are supporting these OmniPayments-sponsored events. We hope to see you all there but if you are not participating this year, you can always reach out to us.